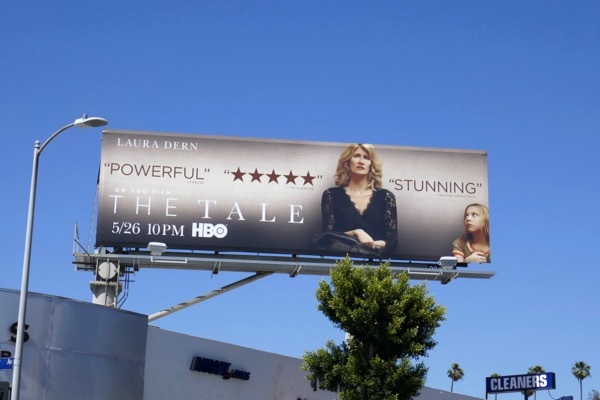 Back in the spotlight following star turns in Big Little Lies, Twin Peaks and Star Wars: The Last Jedi, Laura Dern headlines the new HBO film, The Tale. Written and directed by Jennifer Fox this tale of childhood sexual abuse finds Dern playing a woman who has to re-examine her past when she discovers a letter written when she was thirteen (her younger self is played by Isabelle Nélisse), that forces her to revaluate her first sexual experience and the stories we tell ourselves in order to survive. 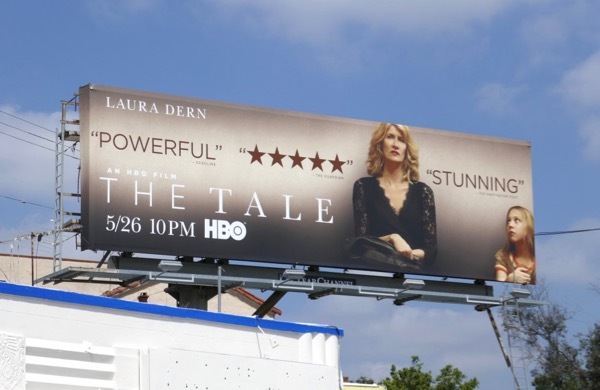 These film billboards were snapped along Melrose Avenue, Santa Monica Boulevard and La Brea Avenue from May 11 to May 16, 2018. 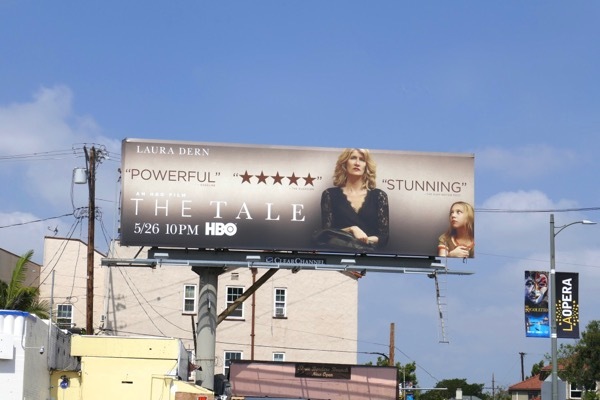 Fans of the Rambling Rose actress can also check out Laura Dern in these Enlightened TV series billboards. 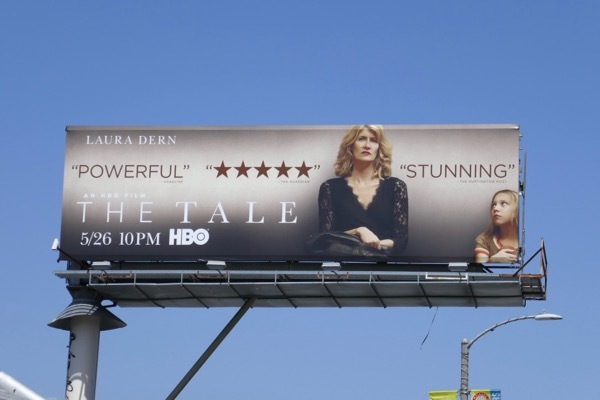 This bold and powerful drama sounds like it a timely tale for this #MeToo period in time that we are all living in and maybe a likely contender for future awards seasons. 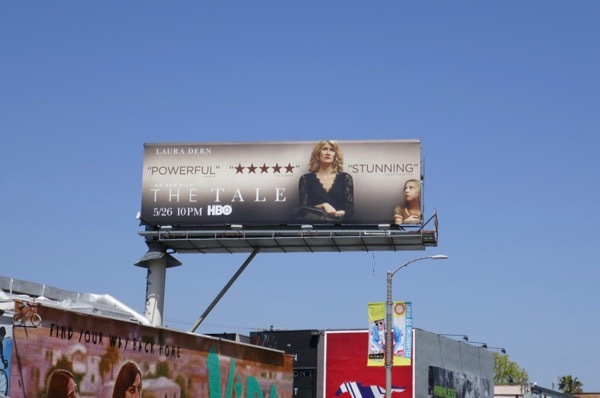 UPDATED: Here's also an Emmy consideration billboard for the telemovie, spotted along the Sunset Strip on June 15, 2018. 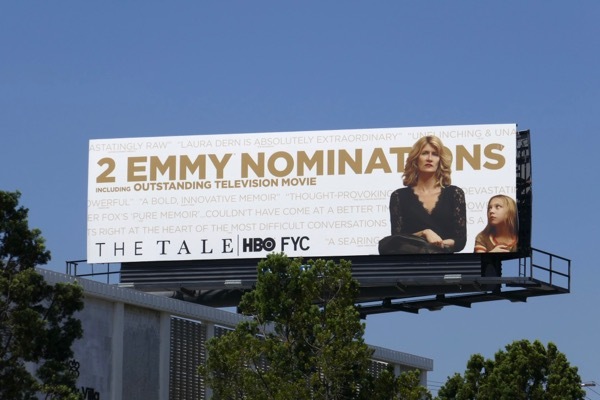 UPDATED: Congratulations to the actress and TV movie for garnering two Emmy nominations this awards season. 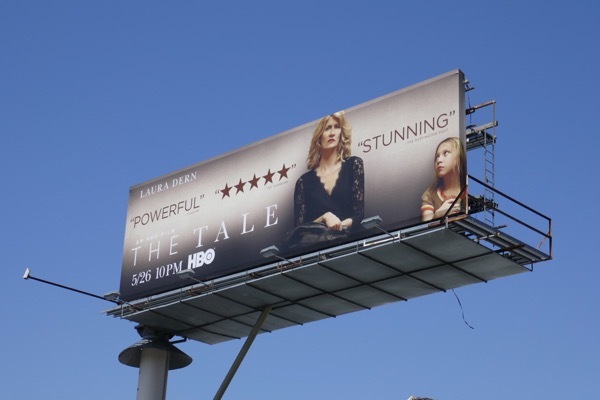 This Emmy nominee billboard was spied above Pico Boulevard on August 22, 2018. 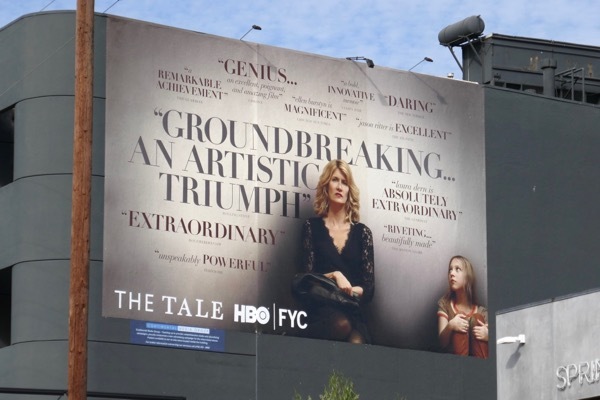 UPDATED: Sadly no Emmy wins for The Tale but will the rest of awards season be kinder, maybe a Golden Globe or SAG Award nomination is on the cards for the HBO film? 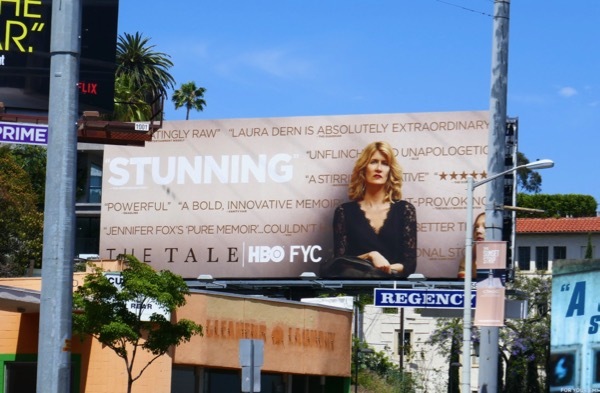 Here's part of HBO's review-laden F/W 2018 consideration campaign spotted along L.A.'s 3rd Street on November 16, 2018.